GLOBALFOUNDRIES has announced its vision and roadmap for a sweeping range of technology platforms designed to help customers transition to next-generation 5G wireless networks. The company offers one of the broadest sets of technology solutions for a wide range of 5G applications, from integrated mmWave front end modules (FEMs), transceivers, and baseband chips to high-performance application processors for mobile and networking. As the world becomes more reliant on digital information, connectivity is expected to drive an enormous amount of growth, with an estimated 8.4 billion connected devices by 2020. 5G will be a key enabler to help networks realize zero-distance connectivity between people and connected machines. The ubiquitous connectivity, incredible throughput, and blistering speeds of 5G will allow applications to take full advantage of the processing power of the cloud. The vision of 5G is to enable ultra-reliable communications with high data throughput, high user density, and less than 5ms of network latency. GF’s broad portfolio and experience positions the company well to address the needs of these networks as they transition to support 5G, from the device all the way to the data center and everything in between. GF boasts a number of market-differentiating solutions to meet the performance criteria of 5G applications. The company’s technology roadmap includes offerings in RF-SOI, silicon germanium (SiGe), RF CMOS and advanced CMOS nodes, combined with a broad range of ASIC design services and IP. 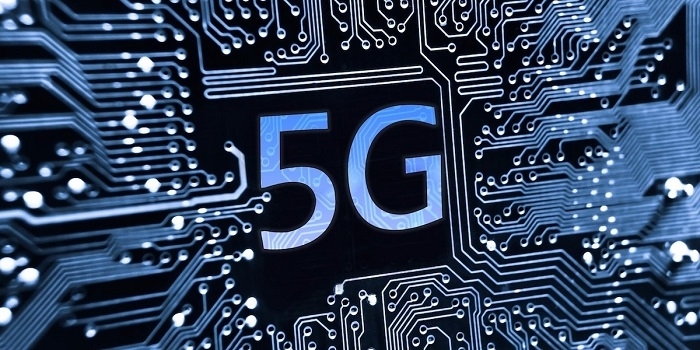 GF’s 5G solutions are part of the company’s vision to develop and deliver the next wave of technology aimed at enabling connected intelligence for next-generation devices, networks and wired/wireless systems. These application-specific solutions address various customer approaches to 5G by supporting a vast range of capabilities, from ultra-low energy sensors, to ultra-fast devices with long-lasting battery life, to higher levels of integration that support on-chip memory. 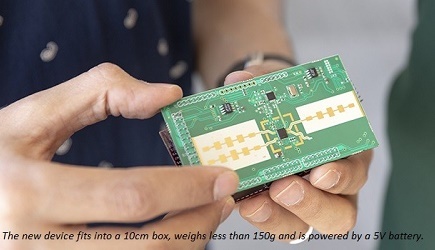 5G mmWave Front End Modules: GF’s RF-SOI and SiGe solutions (130nm-45nm) deliver an optimal combination of performance, integration and power efficiency for FEMs and integrated power amplifier (PA) applications. GF’s mmWave solutions are designed to operate in between the mmWave and sub-6GHz frequency band, with additional mmWave bands on the company’s roadmap. Customers can now start optimizing their chip designs to develop differentiated solutions for high performance in the RF front end of 5G and mmWave phased array applications. Advanced Applications Processing: GF’s advanced CMOS FinFET-based process technologies deliver an optimal combination of performance, integration and power efficiency for next-generation smartphone processors, low latency networks and massive MIMO networks. Advanced CMOS solutions are available today from GF. Custom Design for 5G Wireless Base Stations: The company’s application-specific integrated circuit (ASIC) design systems (FX-14 and FX-7) enable optimized 5G solutions (functional modules) by supporting wireless infrastructure protocols on high-speed SerDes, solutions to integrate advanced packaging, monolithic, ADC/DAC and programmable logic. The 5G solution includes 32G BP and 32G SR SerDes to support CPRI, JESD204C standards. It also includes advanced packaging solutions such as 2.5D and MCM, with mmWave capable ADC/DAC data converters and digital front end (DFE). FX-14 is available to customers today while volume production is expected in 2019 for FX-7. These 5G solutions are available through GLOBALFOUNDRIES and its worldwide partners. They are currently working with customers to help support prototyping systems for deployment trials over the next several years. To meet accelerating global demand for 5G solutions, GF is expanding manufacturing capacity in its 300 mm fab in East Fishkill as well as adding new capabilities to produce its industry-leading RF-SOI technology in its 200 mm Singapore Fab.